We would think that scar on body or face is a bad thing. It could simply affect your physical appearance. But it is not that bad. These men proved that you can still be a famous actor even with scars on, say chin, lips, eyebrow or forehead. These actors with scars take their scars to the screen and you might have noticed them better, or not? We can notice scar on his chin easily. The scar took part in some scenes, including in Indiana Jones and the Last Crusade. 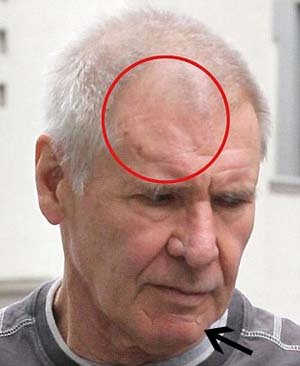 That 5 or 6-inch horizontal mark makes many wonder how Harrison Ford received it. Well, Indy was practicing with his whip and accidentally hit his chin. Yes, that’s in the film. He has told the real cause, in the real life. Recent plane crash also left another scar. In March 2017 he got another mark, specifically on forehead. Like the car crash, the plane crash wasn’t also for movie. Luckily, Ford didn’t lose his pilot license. 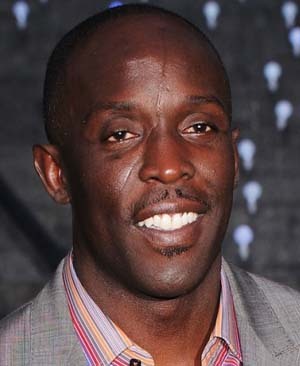 Michael K. Williams wouldn’t have had the chance to be the Omar Little if he didn’t have long scar on his face. That scar, in fact, took role in helping Williams to enter the showbiz. 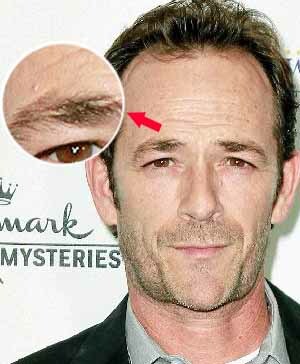 However, we can understand if many are curious about how he got such a long scar right in the middle of his face. He has revealed the horrible story behind the mark. On his 25th birthday, he and his friends had a fight with some other guys he didn’t know. One guy came to Michael from behind. And razor trace resulted permanent, long scar we can see clearly until today. It also resulted signature that opened opportunity to become actor and model. Fighting also left distinctive mark to Tommy Flanagan’s mouth. As you can see, Scottish actor has Joker’s smile. It is a Glasgow smile, to be precise. It is also known as Chelsea smile, or also Glasgow, Chelsea or Cheshire grin. As the name suggests, this smile originates from Glasgow, Scotland, and is popular among English street gangs. The victim received Glasgow smile simply from cut on the edges of mouth toward the ears, resembling an extended smile. 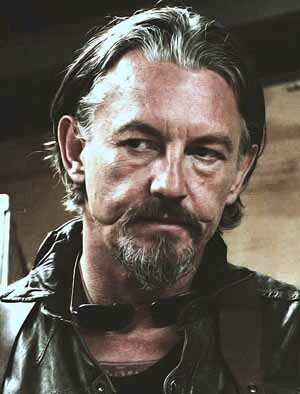 Tommy Flanagan was given the smile after a fight outside a nightclub in Scotland when he was a DJ there. Scar-ry. 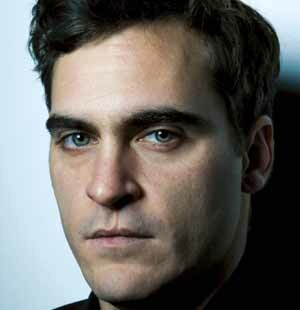 Famous scar on Joaquin Phoenix’s upper lip is often linked with cleft lip or palate. Experts see it as microform cleft, a mild type of cleft that doesn’t create gap but does affect the tissue. Some also suggest that scar is a result from corrective cleft surgery. But according to Phoenix, that is not the case. He didn’t think it is a cleft. Actor who played Commodus in film Gladiator considered it as a birth mark. In an interview he said that, while pregnant with him, his mother felt a sharp pain one day, and Phoenix was born with a mark on his lip. Among actors with scars, Teller’s is popular enough. 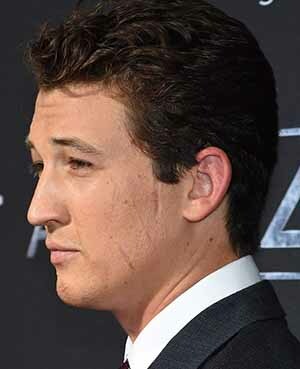 Noticeable scars on Miles Teller’s face are result from car crash he experienced in 2007, before he pursued career as a professional actor. While he knew it could be a problem but he didn’t let the marks stop him. Martinez served as a marine in the Middle East in 2003. He suffered severe burns more than 34 percent of his body, in addition to smoke inhalation, after his Humvee’s left front tire hit an IED. 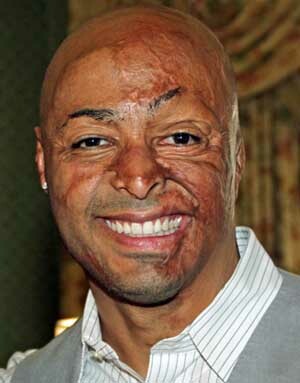 He has undergone dozens of plastic surgery and skin graft surgeries. In 2008 J.R. Martinez started his acting career. He played Brot Monroe in ABC’s All My Children, before claimed as winner of Dancing with The Stars in 2011. He also received some awards related to his military activities. Fact that he is also a motivational speaker gives us clear view about how he sees his scars. Scars can’t stop these actors. They don’t really see them as problem. Share your comment about this actors with scars list.